NATICK -Reports of a crash involving a truck and a car on Route 9 east on the Natick line, just after 4:30 p.m. today, November 1. 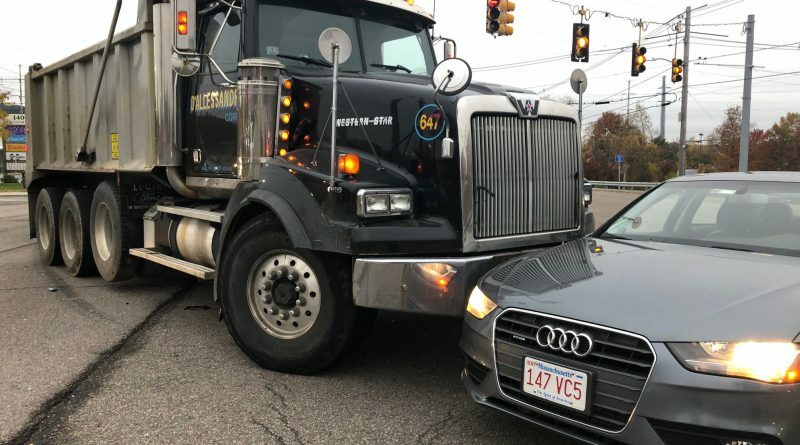 The crash involves a large truck and Audi, both of which are still blocking traffic. The crash is near Shoppers World on Route 9. Natick Police, firetrucks and an ambulance are at the scene.